Thanksgiving is fast approaching, which means it’s time to start thinking about all of the things you’re thankful for. Here at Sweeping Dimensions, we’re grateful for so many things. We’re thankful for the great work of our amazing cleaning teams, of course! We’re also appreciative of all of our clients, from all across the Chicagoland area. And we’re unbelievably thankful for all of you – everyone out there who is reading this blog, or following our company on social media. But that’s not all we’re thankful for. This year, we also wanted to shine a spotlight on the cleaning tools and products that make our lives easier, greener, and better overall. Dawn dish soap is truly a marvel! It’s a powerful cleaning agent, but it’s also incredibly gentle, so you can use it throughout many different areas in your home. Far beyond just soaping up dishes, you can use this cleanser to cut through grease and grime just about everywhere and anywhere, from light switches, to baseboards, to cabinet doors, to kids’ toy chests. Plus, Dawn is truly a green cleaner. For one thing, it’s remarkably versatile, so you don’t have to buy two products (and two plastic bottles), when one will do. Concentrated dish soap is also powerful enough that you only have to use a little product, to have a big impact. And finally, Dawn is a particularly environmentally conscious company, helping with wildlife preservation programs and making their cleaning products out of biodegradable materials. Microfiber is a cabinet essential, which you’ll be able to use throughout your entire home. Basically? Microfiber is dirt and dust’s absolute worst enemy. This material comes complete with grooves that help you trap and lock in dust and other small particles. So, microfiber cloths are a lot more effective than dry cloths or feather dusters when it comes to picking up debris. To put it bluntly: microfiber really gets rid of dust, while other types of fabrics usually just kick up particles into the air. As any allergy sufferer will tell you, that’s no good – and so microfiber is a must! Plus, microfiber cloths are washable and reusable, so you can get dozens, if not hundreds, of cleanings out of just one product. That’s good for the environment – and for your pocketbook. 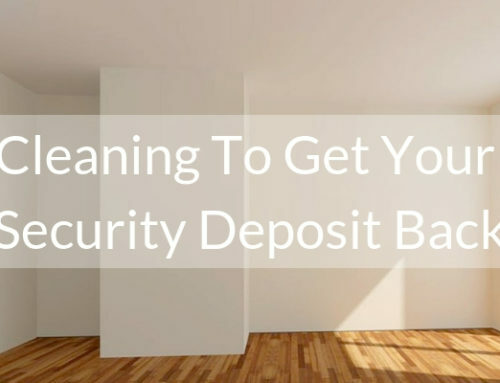 One of the most powerful instruments in your cleaning arsenal is a good vacuum cleaner! You can use vacuum to help make sure your floors are always spotless, especially before your big holiday get-togethers. But beyond that, a vacuum with attachments can be used to help clean furniture, clean up after your cat or dog, allow you to clean those hard-to-reach spots, and even help you tackle your balcony with ease. One thing to keep in mind? A malfunctioning or older vacuum can actually track dust, dirt, and allergens from room to room. Many newer vacuums will come with HEPA-certification, which means that they come equipped with high-tech filters that can help trap 99.7% of small particles. Bon Ami Cleanser is an old school product – like, 19th century-level old school – but it has stuck around for a reason. We’re thankful for Bon Ami because it’s toxin-free, biodegradable, versatile, and safe enough to use around kids and pets. It’s simple, powerful stuff that you can use all over the house – with no harmful dyes or mystery chemicals added. We’re also thankful for other cleaners that we use all the time around Chicagoland homes – oven cleaner, stone cleaner, wood cleaner, and stainless steel cleaner. Without the proper solution, you could damage your favorite surfaces. Your favorite brand of safe, sustainable cleaner is well worth giving thanks for. Do you have a personal favorite brand? Why not show it some love and shout it out over on our Facebook page? Paper towels can be incredibly useful in the kitchen and elsewhere around your home – but, unfortunately, they can also be costly and wasteful. Fortunately, there’s a newer product that we love, which offers all of the convenience of paper towels, with none of the waste. We’re talking about bamboo towels, which are machine washable and reusable up to 100 times. By some estimates, then, one roll of bamboo towels can help replace nearly 300 rolls of traditional paper towels, all while helping you carry out the same jobs – wiping up messes, polishing stubborn surfaces, helping cook dinner, and more. We’d love to hear from you! 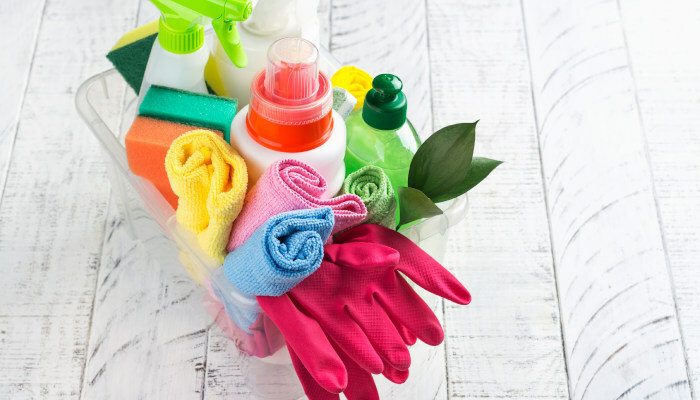 Do you have a favorite cleaning solution you’d love to share with others? Do you always look for a chance to name-drop your mop or broom in conversation? Whatever your favorite is, let us know over email, or by getting in touch over on Facebook or Instagram. 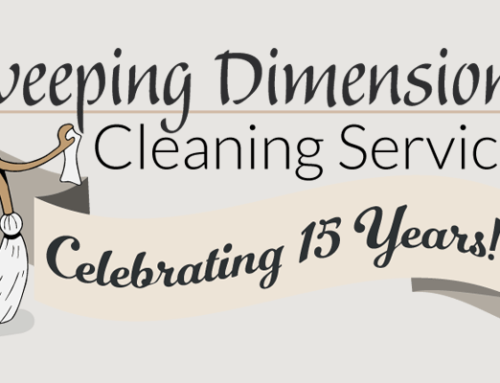 And remember, if a clean home is something you’d be grateful for this year, Sweeping Dimensions is here to help! 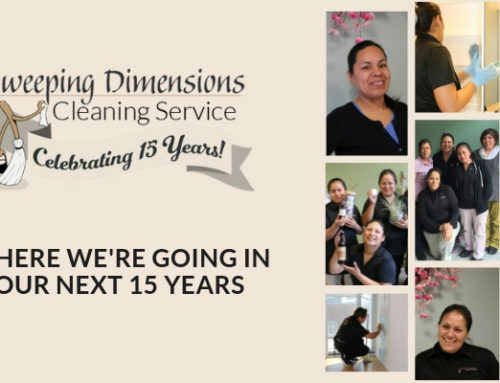 Whether you need assistance with a deep clean, regular housekeeping, or help before a one-time event, our professionally trained and uniformed staff would be happy to step in. Here at SDCS, we always make a sweeping effort to make life less stressful! We offer flexible time windows, and our teams will always come equipped with all of the supplies needed to clean your home or business, with an emphasis on green, environmentally friendly cleaning solutions. Looking to get back time for the most important things in your life? Get in touch today for your free estimate!